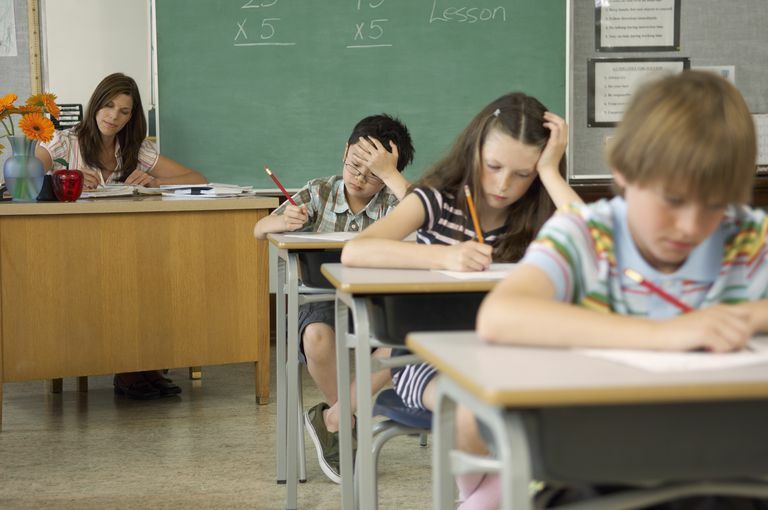 Standardized tests have become a mainstay of the U.S. educational system. While studies find a negative relationship between test preparation and instructional quality, some experts believe that concerns about teaching to the test may be exaggerated. 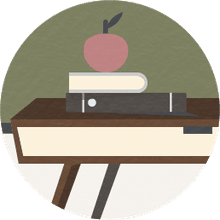 Standardized tests became the norm in elementary and secondary classrooms across the United States in 2001, when Congress passed the No Child Left Behind Act (NCLB) under President George W. Bush. NCLB was a reauthorization of the Elementary and Secondary Education Act (ESEA) and established a greater role for the federal government in education policy. One of the biggest complaints about NCLB was the test-and-punish nature of the law — the high-stakes consequences attached to student standardized test scores. The law unintentionally incentivized a focus on test prep and the narrowing of the curriculum in some schools, as well as the over-testing of students in some places. In December 2015, NCLB was replaced when President Obama signed the Every Student Succeeds Act (ESSA), which passed through Congress with overwhelming bipartisan support. While the ESSA still requires an annual assessment, the nation’s newest education law removes many of the negative consequences associated with NCLB, such as possible closures for low-performing schools. Although the stakes are now lower, standardized testing still remains an important fixture of education policy in the United States. Much of the criticism of the Bush-era No Child Left Behind law was that its over reliance on standardized assessments — and the subsequent pressure it put on teachers due to its punitive nature — encouraged educators to “teach to the test” at the expense of actual learning. That criticism also applies to the ESSA. One of the earliest critics of standardized testing in the United States was W. James Popham, Emeritus Professor at the University of California-Los Angeles, who in 2001 expressed concern that educators were using practice exercises that were so similar to the questions on high stakes tests that “it’s tough to tell which is which.” Popham distinguished between “item-teaching,” where teachers organize their instruction around test questions, and “curriculum-teaching,” which requires teachers to direct their instruction toward specific content knowledge or cognitive skills. The problem with item-teaching, he argued, is that it makes it impossible to evaluate what a student really knows and diminishes the validity of test scores. Other scholars made similar arguments about the negative consequences of teaching to the test. In 2016, Hani Morgan, associate professor of education at the University of Southern Mississippi, wrote that learning based on memorization and recall may improve student performance on tests, but fails to develop higher-level thinking skills. Furthermore, teaching to the test often prioritizes linguistic and mathematical intelligences at the expense of a well-rounded education that fosters creative, research, and public speaking skills. In contrast, some testing advocates — including representatives of civil rights groups — said that assessment, accountability and reporting should be maintained in order to force schools to do better in their efforts to educate low-income students and students of color, and reduce achievement gaps. Other recent studies have explored teaching to the test from the perspective of the quality of the tests themselves. According to this research, the tests that states are using are not always aligned with the curriculum that schools are using. If the tests are aligned with state standards, they should provide a better assessment of what students actually know. In a 2016 article for the Brookings Institute, Michael Hansen, senior fellow and director of the Brown Center on Education Policy at the Brookings Institute, argued that assessments aligned to the Common Core Standards “have recently been shown to improve upon even the best of the prior generation of state assessments.” Hansen wrote that concerns about teaching to the test are exaggerated and that high quality tests should furthermore improve the quality of the curriculum. However, a 2017 study found that better tests do not always equate to better teaching. While David Blazar, assistant professor of education policy and economics at the University of Maryland, and Cynthia Pollard, a doctoral student at the Harvard Graduate School of Education, agree with Hansen that worries of teaching to the test may be overstated, they dispute the argument that better tests elevate test preparation to ambitious teaching. They found a negative relationship between test preparation and quality of instruction. In addition, an instructional focus on test preparation narrowed the curriculum. While current testing debates rightfully note the importance of alignment between standards and assessments, we argue that just as important may be the alignment of professional development and other supports to help all teachers and students meet the ideals set out by instructional reforms.